Following a visit to Khalil Gibran School to mentor middle and high school students, the TechWomen delegation visited the National Institute of Posts and Telecommunications (INPT) (@direction_inpt) to meet with female university students to discuss entrepreneurship and careers in STEM. Located in Rabat, INPT specializes in telecommunications, information technology, and engineering training. INPT Director M. Benameur Bedreddine welcomed the delegation before turning over the presentation to four female students. The students began with an overview of the university. INPT employs a diverse curriculum to ensure each student receives a well-rounded education. Alongside a strong focus in engineering training and ICT-related courses, students are encouraged to pursue courses in the humanities and extracurricular activities for academic and personal development. There has also been a recent emphasis on entrepreneurship and sustainability at INPT, and students followed by highlighting a student-led social entrepreneurship initiative with the delegation called “Enactus INPT.” The objective of Enactus is to increase income and improve the livelihood of boat drivers and create a tourist attracting based on boat tours in the Bou Regreg Valley. The area is known for its beautiful scenery and historical value, but boat drivers face an unstable income due to dangerous working conditions and lack of clients. The project timeline is from October 2013 to October 2015, and students have connected with government agencies, tourism and engineering associations, and various community foundations to help this project materialize. While the students constantly reassess their action plan to learn what strategies will best benefit the Bou Regreg community, they have already gained valuable experience. Through Enactus, students have developed a real world understanding of the social, environmental, and economic impact of STEM. Students harness the skills they acquire at INPT to create a force for good through entrepreneurialism based on innovation, an endeavor that greatly impressed TechWomen delegation members. 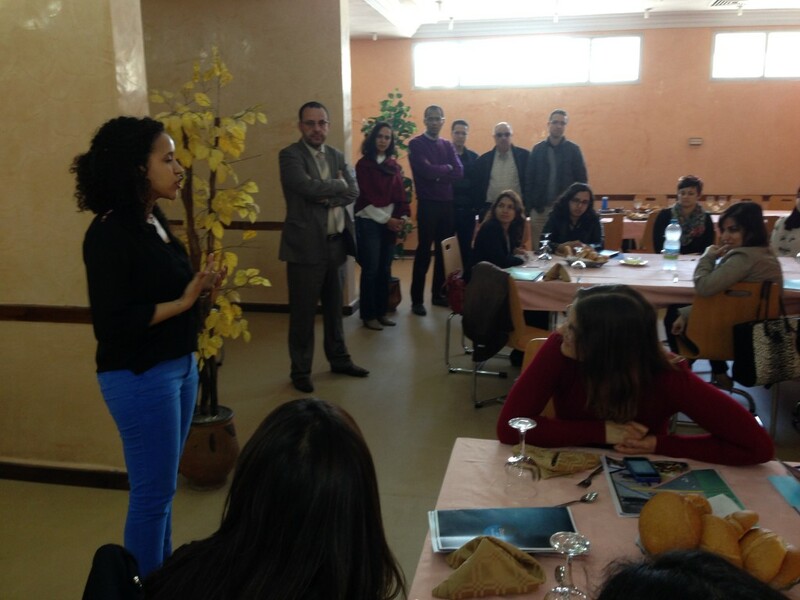 Over the past several days, the TechWomen delegation has learned much about the thriving STEM sector in Morocco. It was especially enriching to learn of the exciting entrepreneurship efforts taking place at INPT, and engage with the next class of female STEM leaders. The idea of innovation through authenticity was central to 2013 Mentor Jacqueline Thomas’ experience in Morocco. Thomas noted that “Being authentic in the world today is extremely valuable. Learn you [and] use that to create new things in the world and technology.” Other delegation members echoed this sentiment, and felt all females in STEM should strive to be authentic, and define success on their own terms. To learn more about the 2014 TechWomen Delegation Trip to Morocco, please follow @TechWomen and follow the #TWmorocco hashtag on Twitter and Instagram.